Menopause is something that all women will go through. It involves a lot of changes due to the shifts in hormone levels, and can often leave women feeling like they’re losing control of their body. But there are things that you can do! For benefits relating to bone density, the bones and muscles need to be overloaded to stimulate new bone growth. This means weight-bearing exercises where you’re on your feet! Think, hill walking, skipping, jumping, running, or weight training. Tai Chi, Yoga and Pilates-style (including Physio-led Exercise) are also good options as they aid in improving your balance which can prevent falls in the future. Please keep in mind that if you do have osteopenia or osteoporosis, you want to ensure that you do not do anything that increases your risk of falling (eg. cycling where you could fall from a height) as your risk of fracture is much higher. Also, if you have pelvic floor or incontinence issues, you should consult your pelvic floor Physiotherapist on what the most appropriate exercises for you are, as certain exercises (such as jumping, skipping or inappropriately prescribed core work) can make your pelvic floor issue worse. For your mood and mental health! Walking (and I mean walking at a pace that gets that heart rate up!) at least three times per week has shown to reduce depressive symptoms. It is recommended that you exercise for 45 minutes, five times per week to see benefits in sleep. It sounds like a lot but you can tie this in with your recommendations for bone density, mood and cardiovascular health benefits. And for your cardiovascular health! For the best benefits in this area, it is recommended that you do three 45 minute sessions per week of aerobic interval training per week. Again, this overlaps with previous recommendations. This all sounds like a lot, but when you break it down and start slow, you will find ways to fit it into your daily life. Once you start feeling the benefits? You’ll want to do it more! So, let’s all aim for 45 minutes of exercise, five times per week. There are numerous other health benefits, not mentioned in this article, that this amount of exercise will give you. If you have any questions about your exercise regime, or have an injury or condition that you are unsure how to work around, book in for a session with one our Physiotherapists by calling 8555 4099 or click here to book online. Is it better to exercise in a group or by myself? For individuals who like to exercise, there is always an opportunity to do so, no matter how busy one’s schedule may be. This is because a conscious decision has been made to include exercise as an integral part of daily routine. Then there is the decision of what type of exercise to partake in. This choice depends on how your body physically reacts to different types of exercise. One person’s knees may be able to withstand running whereas another’s will not. Individual preferences for physical activity will determine whether the chosen exercise is slow, rhythmic movement, or fast paced exercise that makes you sweat and raises the heart rate. Ultimately, we want to try to vary the types of exercise we do in our weekly routine, whilst enjoying ourselves. Another choice for individuals who like to exercise is whether they exercise alone, or with others. Sometimes you have to weigh up whether to get a quick walk or run in before dinner, or wait until later in the evening to walk in the company of a friend or partner. At the gym you could choose to workout solo, or join an exercise class so you can work out in a group setting. All exercise and movement is beneficial but there are a few key elements to group exercise that may encourage you to exercise with a friend or in a group setting. Firstly, according to Spink and Carron’s1 research, you are more likely to consistently come to classes and perform the exercises in the correct way in a group setting. The psychological benefits of exercising in a social setting are plentiful, whether it is the thrill of friendly competition, the positive effects of seeing other people outside of a work or home environment, reduction of stress2, or even the comradery around the difficulties in finding time and self-discipline to exercising. Many times, in a group setting, we may reassure ourselves that if ‘so and so’ can come to exercise class every week, then so can I! Physio-led group exercise is our choice at InnerStrength of Bayside. We aim to provide a positive space, where you can exercise at your own pace, according to your needs and under the guidance of an experienced Physiotherapist. We recommend attending two group physio classes per week and adding cardiorespiratory exercises to your routine 3-4 times a week. This could be as simple as a 30-minute brisk walk with your dog or a friend with two legs. Call us now on 8555 4099 or book a Physiotherapy Assessment online via this link and we can help you achieve your goals. Attention All Runners, Cyclists and Swimmers…. High Intensity Training Can Improve Your Performance! Do you want to take your performance to the next level? Have you tried High Intensity Interval Training (HIIT)? HIIT is characterised by a burst of intense exercise, where you work as hard as you can, followed by a less intense exercise or active recovery. The American Heart Association advises that 2 x 30 minutes of HIIT is equivalent to achieving 150 minutes of moderate intensity exercise per week! This means that HIIT training can make you fitter faster, which is so beneficial in a world where most people complain of being time poor. InnerStrength of Bayside’s Physio led HIIT group sessions are dynamic and energetic. They are run by a Physiotherapist and performed on our state-of-the-art reformer beds using exercises derived from Pilates. This fun session, with up to three other people, will complement your other exercise routines or sports. Our sessions focus on all muscles groups especially around the hips, shoulders and trunk which will improve your power in the pool, whilst you run and/or on the bike. As we all know, free time is often a limiting factor when it comes to achieving the recommended 150 minutes of moderate exercise per week. So why not achieve the same health goals in a reduced time? To ensure you reach your fitness goals and get the most out of your HIIT session, a 30 minute assessment with one of our Physiotherapists is required prior to attending your first class. Claim on Private Health Insurance. Small classes, max 4 people. All HIIT sessions are claimable under Physiotherapy with Private Health Insurance. For more information including our session timetable or to book online please click here. If you are unable to find a group session time that suits you, please let us know and we will try our hardest to accommodate you. Neck pain? Low back pain? Maybe your upper back the cause! The upper back is comprised of 12 vertebrae connected with 12 rib pairs which form the thoracic cage (i.e. upper back area). This area is often underestimated in treating other areas such as the neck and low back pain. If you are an office worker or perhaps do a lot of physical work, you may experience ongoing symptoms that could benefit from further assessment. Talk to a Physiotherapist about your condition early to get effective treatment! Click here to book an assessment online with us, or call us on 8555 4099. Also see our video below on some easy thoracic stretches you can do at home! What is the difference between doing Group Physio-led Exercise Pre or Post Natally at InnerStrength of Bayside? For pregnant and post natal women, exercising is one of the important tools to help you through your pre and post natal period. There are a number of benefits of Individual and Group Physio Movement Based Exercise sessions (formally known as Clinical Pilates) during this time, including strengthening core, pelvic floor, assisting with your post-natal recovery and enhancing mental health. During your pregnancy, you can join one of our Group Physiotherapy Exercise sessions after a Physiotherapy Assessment. These group sessions include up to 4 people and are under the guidance of a qualified Physiotherapist. These individualised sessions use a combination of reformers, mat exercises and other Pilates style equipment to optimise your individualised program. Our Physiotherapists are experienced with working with pregnant women and can easily modify some exercises or provide alternatives to ensure your comfort. Anyone can benefit from these Group Physiotherapy Exercise sessions, however for pregnant women, it can make a big difference in your new journey and your post-natal recovery will be therefore much easier. Click here for more information on our Group Physiotherapy sessions. The post-natal session is a bit different from your pre-natal session. At Innerstrength of Bayside, we provide two options for Post Natal group Physiotherapy sessions. A popular choice is our group Mums and Bub sessions, suitable from 6 weeks after birth. This way you can exercise with your baby in a fun and relaxed environment with other mums. To ensure that you are ready to exercise, you will have an individual assessment with one of our Physiotherapists. This class is tailored only to post-natal women who would like to engage in an exercise regime while recovering from pregnancy and socialising with other mums. Another option post-natally or once your baby starts crawling, is to join a Group Physiotherapy Exercise session as described in the pre-natal section above. These 45 minute sessions use Pilates style equipment and are suitable at 6 weeks following the birth after having an Assessment and can be a great time for you to focus on yourself. If you have any more questions or would like to book in for an Assessment, please contact InnerStrength of Bayside on 8555 4099 or book online. Osteoarthritis? Surgery is no longer the doctor’s first choice. I recently had the incredible experience of watching an orthopaedic surgeon perform a total knee replacement on a patient who had osteoarthritis. I was amazed at the concentration and precision of his work, and would definitely have trust in putting my closest family members in his care. There is no doubt that performing surgery of any kind requires immense skill, concentration and the utmost patient-centred care, and I am so grateful to have been the presence of just that! But, it is important to know that surgery isn’t the first treatment you need to turn to if you have osteoarthritis. It has been commonplace for many years now that total joint replacements have been considered the best option for overcoming osteoarthritis of the hip and knee, but despite the amazing surgeons we have here in Australia, surgery is accompanied with many risks. Although surgery is an appropriate option for some, new evidence is emerging that something else is the same, if not more effective than surgery for hip and knee osteoarthritis – exercise! The Guideline for the Management of Hip and Knee Osteoarthritis was released this year (2018) by the Royal Australia College of General Practitioners and it has strong recommendations for land-based exercise for both hip and knee osteoarthritis, as well as weight-management strategies. Joint replacement surgery was only recommended for severe, end-stage osteoarthritis, when all conservative options have failed. It is also recommended that those who are planning on having joint replacement surgery engage in as much strengthening and physical activity as possible in the lead up to surgery and afterwards. Movement is the best thing for you, no matter how mild or severe your condition! It allows for the increase and maintenance of muscle strength and joint range of motion, has benefits for mental health, and can have additional improvements such as weight-loss, lowering blood pressure or reducing severity of diabetes. Having an exercise program tailored to you is a must as everyone with osteoarthritis has different strengths, challenges and goals so we want to make sure we’re working on all of the right things for you so that you have the best possible outcomes. As Physiotherapists we have extensive training in osteoarthritis treatment through exercise and other modalities, as well as being experienced in prehab and rehab for joint replacement surgery. We also provide you with information and teach you how to manage your condition so that you have an active role in your rehabilitation and treatment. This is all about you! If you or someone you know has osteoarthritis of the hip, knee or anywhere else in the body, call us on 8555 4099 or click here to book an appointment online so that we can start you on your journey towards better function! Do you love running but are suffering from its injuries? Are you a runner with a musculoskeletal injury that can stop you from doing that enjoyable form of exercise? If yes, this article may be relevant for you! Running is an amazing sport that many people enjoy doing these days. Whether you are running for health, fitness or training, inside the gym or outside in nature, we all know that besides it being relatively inexpensive and convenient, it can hugely build up a person’s strength and have positive psychological benefits. However, many runners experience musculoskeletal injuries that keep them away from their running shoes. Here I’ve put together a short list of the most common overuse running injuries that you may have. Also called “runner’s knee”, this is the most common running injury that presents to Physiotherapy practices. An overuse injury in runners is ITB syndrome. It is caused by repeated trauma rather than a one-time incident. Pain mainly presents on the outer side of the knee where the iliotibial band inserts. A common foot complaint in the running world is plantar fasciopathy which involves pain in the heel or middle of the foot. Pain is normally well-localised and often experienced first thing in the morning. Although often not serious, continuing to run with this condition can cause more complications and additional damage to the tissues involved. This is a repetitive-stress injury to the shin area, mainly in the inner part of the shin. Patients commonly complain of a diffuse pain along the middle of lower leg, especially at the beginning of running. Training history may expose that a runner with this conditions has done too much running, or run too fast, in a short period of time. Physiotherapy can help you rehabilitate as well as prevent these injuries. We are trained to keep you running and so that you can get the most benefit out of it. Click here to book online or call us today on 8555 4099 to book in for a consultation. As you may be aware, in 2018, the Federal Government announced its plans to make certain natural therapies ineligible for private health insurance rebates. Among these was Pilates. The Government’s original position was that Pilates would not be rebatable, regardless of who delivers it or how it is delivered. “The Department considers that an insurer may lawfully pay benefits if a physiotherapist, providing services to a patient within the accepted scope of clinical practice, uses exercises or techniques drawn from Pilates as part of that patient’s treatment as long as the exercises or techniques are within the accepted scope of clinical practice. This means that as long as a patient receives an Individualised Assessment prior to starting Pilates style exercises, there is regular follow up and that treatment notes are taken, you are still able to claim. At InnerStrength of Bayside we have always performed individualised Clinical Pilates Assessments and taken treatment notes each time you attend a Clinical Pilates session. 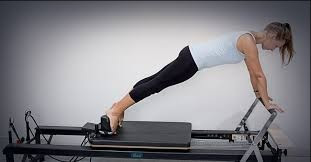 The only change our regular clients who attend classes will notice is that we now require all regular Pilates clients to attend an individual 1:1 session with one of our Physiotherapists, if you have not done so in the last 6 months. This will ensure we are complying with the new requirements and instructing you with the most relevant exercise program and that you are reaching your goals. Book your assessment online or call 8555 4099 if you have not had one in the last 6 months. A deterioration of balance is extremely common for cancer patients, which may be as a result of treatment. Poor balance can lead to falls and fractures, which can have serious consequences. Poor balance can easily be helped with a good exercise program. Chemotherapy causes a decline in muscle mass, which means that a person may not have the leg strength to prevent tripping and falling. Chemotherapy can also cause peripheral neuropathy, which means that a person may not be able to feel their fingers or feet and you may also experience tingling. This may stay with a person for a few weeks or for years after their treatment has stopped. Peripheral neuropathy can double your risk of falls. Work on your leg strength. This will help your standing balance and will help you to correct yourself when you start to lose balance. If walking on a treadmill, always use the handles for support. Use a recumbent bike for both cardiovascular and strength. Ask your Physiotherapist to prescribe standing exercises, which are more functional to your everyday life. Make sure you use a chair or table for support whilst performing standing exercises. If you experience fatigue, pick a time of day when you know you have the most energy to exercise. The sooner the better to improve your quality of life! Exercise is beneficial during all stages of your treatment. Exercising prior to surgery or treatment means that you will go into it stronger. Exercise has been shown to be beneficial during treatment to help the treatment work more effectively, reduce the amount of muscle mass lost and also help manage your fatigue. It is also greatly beneficial after you have finished treatment to continue to increase your strength back to your baseline, and address other things such as decreased balance. Please note that you need to make sure you get medical clearance from your medical team before commencing exercise. InnerStrength of Bayside Physiotherapist Luci Minogue is a provider of the Pinc and Steel Cancer Rehabilitation programs. Call us now on 8555 4099 or click here to book online to start your cancer rehabilitation and wellness strengthening program! What do you mean, my shoulder is frozen? condition comes on slowly, has no known cause, and is more common in middle aged women. I have moved this paragraph up: It is important to know that whilst many people will regain their mobility and function after a period of time, unfortunately, not everyone will, even with Physiotherapy or medical intervention. It is the belief of many that there is nothing that can be done about frozen shoulders. They are quite often described as being a self-limiting condition and one that will resolve independently in its own time. The problem with the belief that there is nothing you can do about a frozen shoulder is that it may lead people to believe that they will make a full recovery with no intervention and therefore delay or not seek out treatment at all. It is believed that this information has become such common knowledge to the public due to the frequent reference of what are called ‘secondary sources’ of information. In health care, primary sources of information predominantly refer to research journal articles that report original findings. Secondary sources are an interpretation of a primary source of information, which is less reliable. So, if we’re mostly seeing information from these less reliable, secondary sources, what do the primary sources have to say about frozen shoulders and what can or cannot be done about them? Primary sources suggest that treatments to improve shoulder mobility are most effective in the early stages (first 5-12 months), suggesting that delayed treatment may lead to poorer outcomes. So, what treatment options do I have? Physiotherapists will provide you with a home exercise program consisting of appropriate mobility and stretching exercises specific to your shoulder. Frozen shoulders are all unique, and you as an individual will have different goals and daily tasks that are meaningful to you so it is important that the program is tailored. Cortisone injections are also often recommended to manage inflammation in the early stages of frozen shoulder, with the aim to reduce pain and the eventual formation of adhesions in your shoulder. Cortisone injections combined with a home exercise program have been shown to provide short-term pain relief and improved function compared with only exercises. It is therefore important to see your Physiotherapist and let them know how your home program is progressing and to see whether any medical intervention is required for further relief. Your Physiotherapist can also give you advice and educate you on what a frozen shoulder is and how you can expect it to progress. If you or someone you know has a shoulder concern, call us on 8555 4099 or click here to book an appointment online.